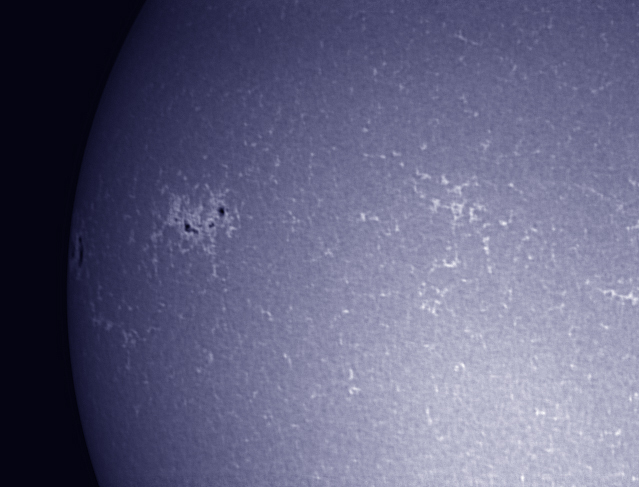 A Nikon D700 was mounted at the prime focus of a 120mm ED Refractor. 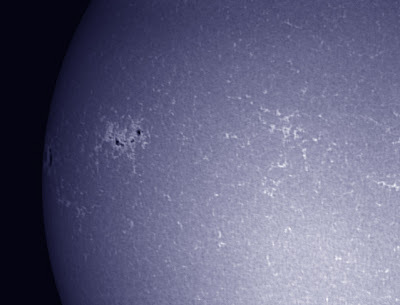 Click on the image to see a 50% full-size disk. 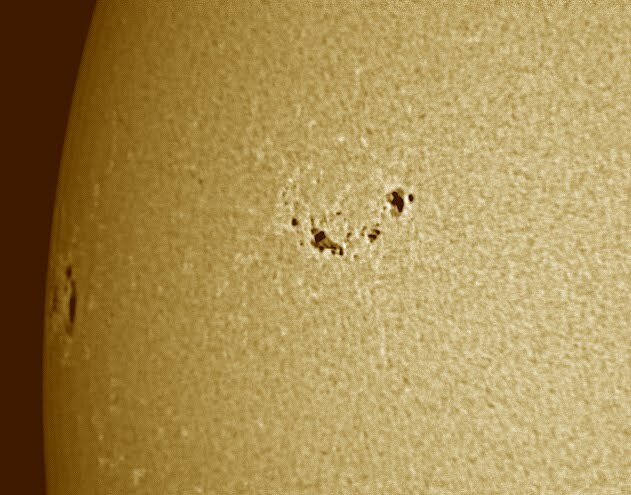 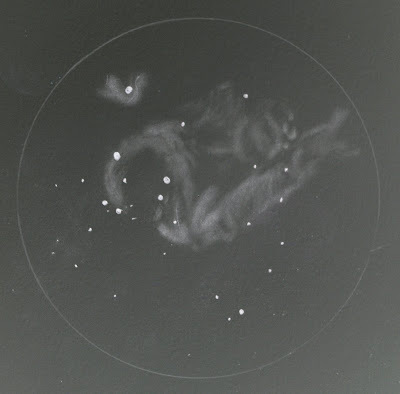 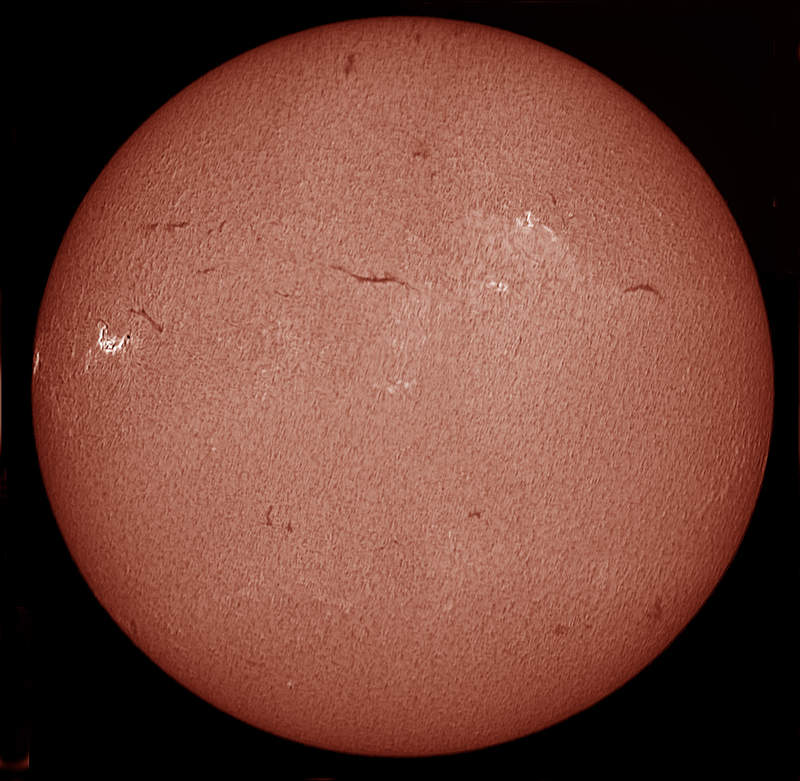 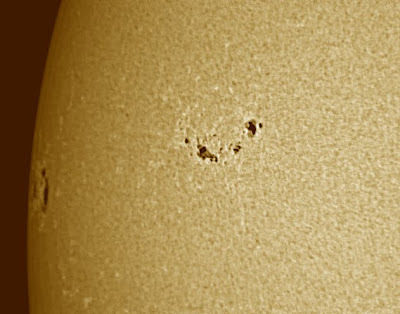 The whole solar disk was imaged in sections in H-alpha light with a H-alpha PST and a mosaic of the disk was made. Click on an image to get a larger view. 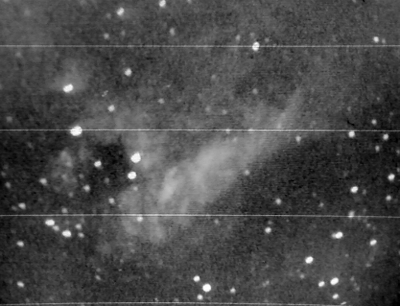 Note the satellite track across the top of the image.